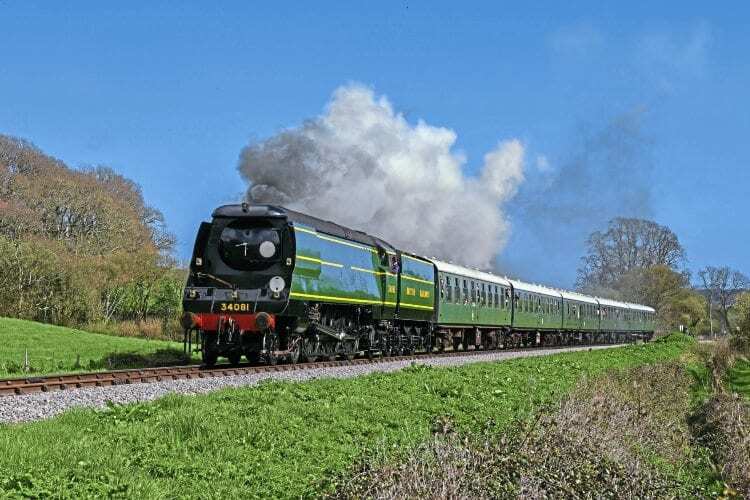 FIVE operational Bulleid Pacifics working through the Dorset countryside to the coast lured a record-breaking 5,700 visitors to Swanage Railway (SR) for the line’s Strictly Bulleid three-day attraction. The March 31-April 2 event was the railway’s contribution to this year’s commemorations marking 50 years since the end of Southern steam, seeing the largest gathering of working Southern 4-6-2s since the summer of 1967. Some 110 volunteers pulled out all the stops to offer something never seen before in preservation, while at the same time showcasing the SR’s new four-mile extension from Norden to the River Frome, just half a mile short of the London to Weymouth main line and well within sight of Wareham. All five of the Bulleids in service were of the Light Pacific type, three of which still retained their air-smoothed casing. These included resident ‘Battle of Britain’ No. 34070 Manston and visiting Nos. 34092 City of Wells and 34081 92 Squadron. Next Post:Butterley welcomes Picnic Saloon into service… after 60 years in Shirley garden!